Editor’s Note: How does a major sports franchise leverage technology to empower its fans and lift up its city? 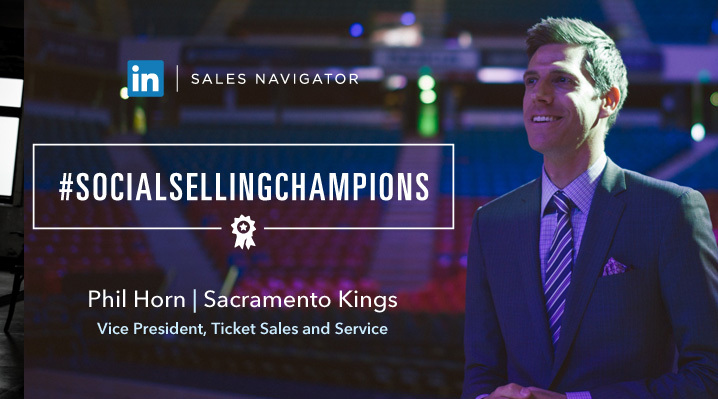 Phil Horn, Vice President of Ticket Sales and Service for the NBA’s Sacramento Kings shares his story in our monthly series on #SocialSellingChampions. Technology has a way of inspiring us like nothing else. We can’t help but chase and crave the next big tech tool. We feel giddy when we get the newest, coolest gadget, and immediately show it off to our friends. Through technology, we enact our dreams and conquer our challenges. We become explorers discovering new land with every tap. We feel like members of an elite group of pioneers, finding new thrills around every corner—and we’re proud of it. At the Sacramento Kings, we’re no strangers to this feeling: we’re a reflection of our incredible fans and our city. From our triumphant victory that saved the Kings to our development of the world’s smartest arena, we too are dreamers and doers, members of this civic club, lining up for each new prideful thrill together. So much so that this pride has extended to our sales process. Rooted in owner Vivek Randive’s vision of using advanced technology to enhance the fan experience, our Sales 3.0 platform fosters pride and results. Just like our city, the Kings’ sales culture is forward-looking, celebrates innovation, and provides permission to explore. This license to play and freedom from “the only way” is central in developing a sense of ownership in the sales process for both the buyer and the seller. Our smart, talented sales team has access to the best technology available. With full support from leadership at every level, they dive into these tools the same way they’d devour the latest personal device. They become wireless explorers, stretching the boundaries of possibility. Their creativity shines. They want to collaborate and show their teammates the cool new tricks they find. LinkedIn Sales Navigator has been one of our most vital tech tools. It’s all about finding new ways to provide value to customers, breaking the mold of traditional sales and creating that thrill of something new. With Sales Navigator, we can personalize our outreach and engage customers on a one-to-one level—that’s something special. Buyers get to feel like they have someone on the inside of the front office of an NBA team. When customers work with our sales team, they get to buy in a way that’s most comfortable for them. From the first customized and targeted interaction, it’s clear they are dealing with a sharp, sophisticated expert, using the latest, most convenient tech to guide them through the purchase process. The final result is a proud new customer, excited to have experienced a process that was cool, informative, and seamless. Buying in a way they didn’t even know was possible is just plain fun. Whether it’s through Sales Navigator, a virtual reality experience, or a personalized video, going through a high-tech buying process gives customers that thrill. They’re quick to tell their group of friends, family and coworkers about how they were first on the scene to engage with the Kings—and how they’re now one of the lucky few to have a seat in the world’s smartest arena. Just like our reps eagerly share their latest sales tech discovery with each other, our customers similarly share their excitement about the Kings with other prospects. Buyers and sellers each in their own exclusive club, spreading pride in their own way. Technology is an exhilerating vehicle. It gives us license to dream and go beyond what’s expected. For us, as we strive to build the next great American city, it’s an integral part of our story and the spirit of #SacramentoProud. 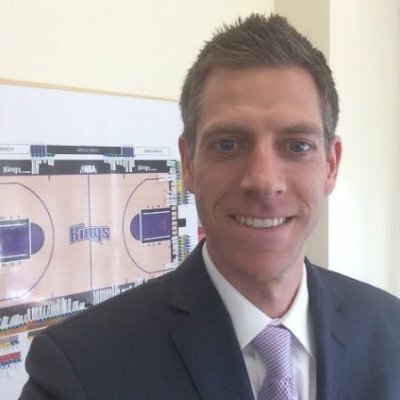 Want to create a personal buying experience for your customers like the Sacramento Kings Sales Team did? Check out our eBook How Personalized Selling Unlocks Competitive Advantage.